Stretch marks are common among women who are past puberty. They appear as linear, thinned skin most often found on the breasts, abdomen, hips and thighs. Stretch marks may appear due to stretching of the skin or due to hormonal changes, mainly during pregnancy. They appear like scar tissue when seen under a microscope. Stretch marks may occur due to increased cortisol secretion: The hormone produced by the adrenal glands or due to increased body mass. It is most common during pregnancy as the rapid growth of the baby and increased body mass lead to stretched skin. Taking some medications such as corticosteroids like prednisone may also produce stretch marks. 10% Squalene Oil – Squalene is a natural organic compound obtained from shark liver oil. It was originally obtained for commercial purposes. Squalene is used to promote healthy skin and is produced by all animals and humans. Vitamin E – Vitamin E is an antioxidant which is important for the cell membrane. It is needed to maintain the health of the skin and for growth and bone development. DL-Panthenol – A derivative of natural plants. DL-Panthenol is used as a natural humectant that improves the moisture-retention capacity of the skin and stimulates skin regeneration. Aloe Vera Extract – Aloe vera has a number of skin benefits and is used ion almost All Revitol products for providing a soothing and soft sensation to the skin. It is derived from the leaves of the aloe vera plant, is used as a multipurpose skin treatment. 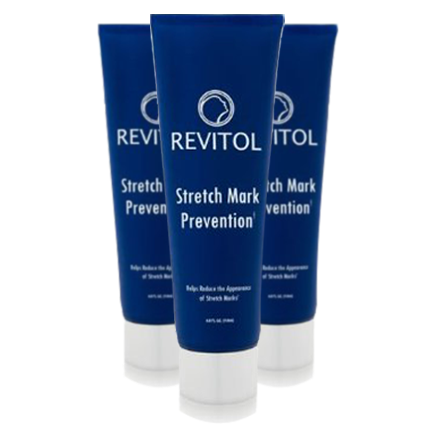 Grapefruit Seed Extract – It is the second famous and common ingredient in Revitol stretch marks removal cream. Grapefruit Seed Extract has large amounts of disease-fighting, free-radical eliminating antioxidants and phytonutrients called bioflavonoids. One of these powerful bioflavonoids (plant antioxidants) includes the chemical component hesperidin, a well-known natural immune system stimulator, and booster.